Hattie's Bible: Is this Estelle Fenn's Husband? These two pictures were side by side in Hattie Fenn's Bible. The gentleman was unidentified. The woman is Estelle Fenn Shaw. 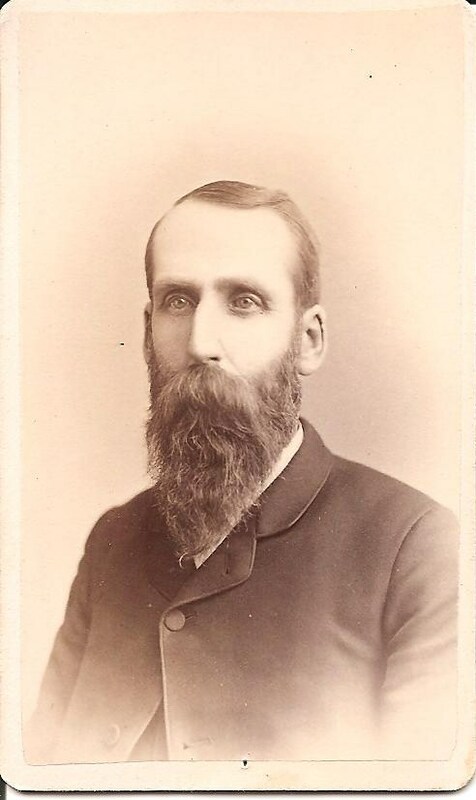 Could this be Estelle's husband, James F. Shaw? The pictures are identical in that they were both taken by Cookingham Photographer, Smith's Bros. Block, Jackson, Michigan. They are the same shape and color. The back of the pictures are identical. This leads me to believe they were taken at the same time. Their wedding day? Estelle Fenn was Hattie Fenn's half sister. 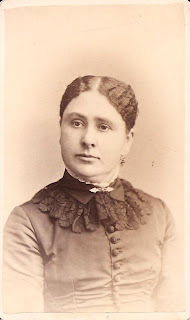 Estelle's parents were Daniel C. Fenn and Jane E. Poor. Please contact me, with any information you have about Estelle Fenn and James F. Shaw.